The Who is and was the world’s greatest rock’n’roll band. The proof might not be found on their studio albums, although The Who does surpass most of the competition in the recording studio as well. To comprehend their real greatness you need to experience them live. Live in concert they conquered the world in a cloud of broken Rickenbacker guitars and razed Premier drum kits. Pete Townshend punishing his guitar, fingers bleeding, with his brutal, trade mark windmill chords. The Who exploded in crackling, howling feedback among fuming speakers and a drummer going absolutely bananas. And it is precisely these moments that are captured on “The Kids Are Alright”. The Who ‘live’ through 14 years, from 1965 to 1978. Four young upstarts. The dream crew: a guitar, a bass, a drum kit and a singer. Maximum Rock’n’Roll created with minimal, but archetypal tools. The focus of “The Kids Are Alright” (from the movie of the same name) is razor sharp. From rattling TV appearances in 1965 to that final, fiery charm thrust in front of enthusiastic punks in 1978, only months before Keith Moon passed away. The oldest footage is of surprising good quality. Have “My Generation,” “I Can’t Explain” and “Anyway, Anyhow, Anywhere” test your senses in an electric storm of aggressive distortions and feedback. Further down the time line you get a perfect version of “Happy Jack” (from Sweden in 1967) and the complete and simply awesome “A Quick One” from the Rolling Stones’ legendary TV show “Rock’n’Roll Circus”. The album rounds off the 60’s with the classic “Tommy” medley from the Woodstock Festival in 1969. The album’s only weak part is the recordings from the early 70s (“Join Together” / “Roadrunner” / “My Generation Blues” and “Young Man Blues”). But then we move on to spring 1978 and everything is forgiven. The Who delivers a thunderously powerful “Won’t Get Fooled Again” and even better: “Baba O’Riley” – the definitive version! Townshend’s diesel chords smash into the bubbling synthesizer-loops and when he cries in naked agony: “It’s only teenage wasteland”, I feel like crying. This group cares about you, me and the times we live in. This group still cling to their ideals after 15 years in the world’s most cynical and decadent industry. That’s integrity for you. John Entwistle’s fat, powerful and elastic runs on the bass. The wonderful pandemonium of Keith Moon (there were no drummers like him, and there never will be again). Roger Daltrey’s voice, so in your face. Pete Townshend’s crashing guitars. The power, the anger and the beauty. 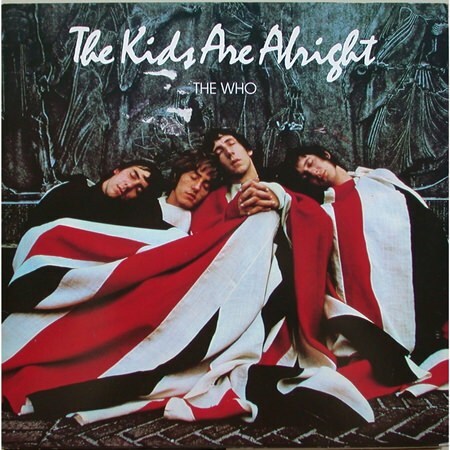 “The Kids Are Alright” is an essential rock album. Bring it with you through life!